By Analytik Jena AG Distributor in Horsham, PENNSYLVANIA (USA). By Myron L Company Distributor in PENNSYLVANIA (USA). By Industrie De Nora S.p.A. | De Nora Water Technologies Office in Pittsburgh, PENNSYLVANIA (USA). By Pieralisi Group Distributor in Harleysville, PENNSYLVANIA (USA). By In-Situ, Inc. Distributor in PENNSYLVANIA (USA). 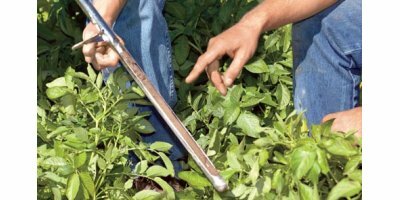 Farmers and researchers in the agricultural industry have used AMS sampling equipment for over 50 years. The AMS Step Probe, Soil Recovery Probes, and a variety of one and two-piece augers are used in the agricultural sampling market to obtaining disturbed samples at or near the surface and for boring to depths where more precise samples can be obtained. 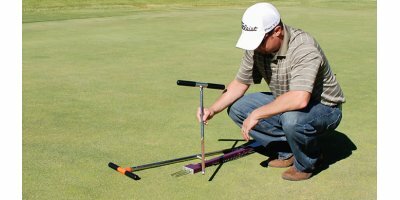 AMS now offers a variety of nematode sampling equipment, ATV-mounted PowerProbe rigs, and one and two-piece open-faced augers. By Art’s Manufacturing and Supply, Inc. (AMS Inc.) Distributor in Pittsburgh, PENNSYLVANIA (USA). By FINN Corporation Distributor in Zelienpole, PENNSYLVANIA (USA). The Smart Elbow`s unique deflection zone prevents elbow wear, plugging, product degradation, and contamination. This makes it a valuable solution to the problems that can occur during grain conveying. By HammerTek Corporation based in Bethlehem, PENNSYLVANIA (USA). By MilliporeSigma based in Bellefonte, PENNSYLVANIA (USA). By ANDRITZ MeWa - ANDRITZ Group Office in Canonsburg, PENNSYLVANIA (USA). Safe, natural MICROCAT microbial formulations from Bioscience, Inc., are specially formulated to maintain the health and stability of fish and shrimp aquaculture facilities. Made of a unique combination of specialized, naturally occurring microbes and other ingredients, MICROCAT products augment the existing beneficial microorganisms in shrimp and fish farming pools. Corn refiners process corn into different components such as: starch, germ, fiber, and gluten to process it further for additional end uses. Processing is done in dry mills or wet mills. Mixing and agitation is central to the performance of a corn wet milling plant. By National Oilwell Varco Distributor in PENNSYLVANIA (USA). ANDRITZ Feed & Biofuel Technologies – the highest standard of processing technologies. ANDRITZ Feed & Biofuel Technologies is a global leading supplier of technologies, production plants, systems and services for the animal feed, aqua feed, and pet food industries and for the biomass pelleting industry. From the market-leading ethylene management solution that pioneered peak quality apples for consumers year-round, to new options for intelligent storage management and fungicide delivery, AgroFresh adds assurance to your apples. By AgroFresh based in Collegeville, PENNSYLVANIA (USA).